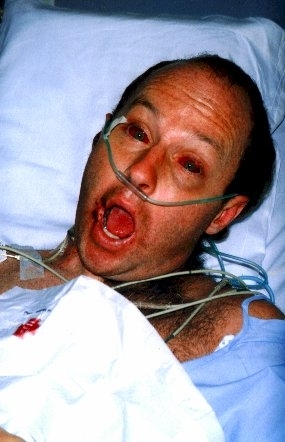 The Face of Acute Kidney Injury. (Published with permission). It ain’t pretty, it’s Acute Kidney Injury. This case was probably brought on by leptospirosis. This is the face of a well known New Zealander. Do you recognise him? He’s kindly lent his name to my research on AKI. I will reveal that name in future posts as I tell his remarkable story.